During the creation of Nights in the Past we’ve come across many places to stay that are of an extraordinary age. 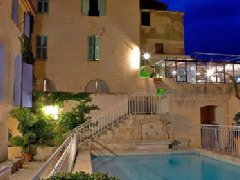 Should you know of any old hotels, inns or other accommodation which applies to this section, please get in touch. It should be noted, however, that the list below reflects only a small proportion of the overall number of historic hotels listed on the site. 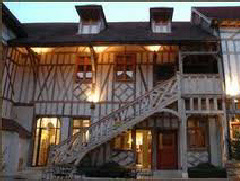 Inclusion in this Oldest Hotels in France section is based on there being some of the original structure still in existence rather than those places that have been entirely rebuilt. Naturally, in many cases this will apply to a relatively small section of the present-day building, though in some instances it applies to the majority. Please bear in mind that Nights in the Past can make no guarantees as to the veracity of the reputed age of any of the properties here or elsewhere on the site and cannot be held responsible for inaccuracies. The date information we supply has, however, been previously documented and is in the public domain either on the internet or in print. 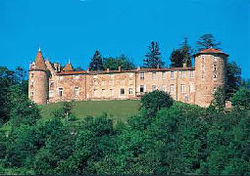 Also see our main historic hotels section for France. It is important to stress that this isn’t a definitive list, and has been compiled from some of those we have encountered during research. Notes: Chateau de Lignan near Beziers in Languedoc Roussillon claims to be a “9th century fortress”. How much veracity there is in this claim is difficult to ascertain, although the existing building - while certainly historic - is visibly not of such extraordinary age.